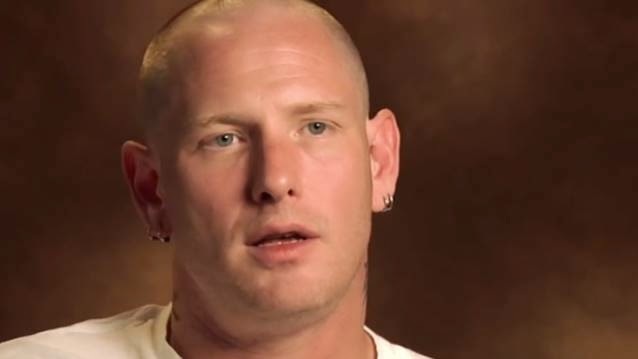 According to The Pulse Of Radio, STONE SOUR/SLIPKNOT frontman Corey Taylor has called out KISS in a new interview with Radio.com over the public feud between the current band members, two original ex-members and the Rock And Roll Hall Of Fame over the group's long-awaited induction into the Hall next month. Taylor said, "On one hand, you're stoked being a KISS fan, but on the other hand it's, like, 'Can you guys just put aside your petty issues and realize that without one another you wouldn't have been able to do this? Can you just set stuff aside and do one show for the fans of the original lineup again? And then you never have to see each other again?'" KISS co-founders Gene Simmons and Paul Stanley firmly rejected the idea of performing at the induction ceremony with former founding members Peter Criss and Ace Frehley, despite the Hall's and fans' wishes. Taylor added, "Without (Frehley and Criss), the other two guys wouldn't be where they are! And that's just me layin' it straight! I might not ever get a kind word from anybody in that band anymore. But I think it's petty and I think it's ridiculous! Figure it out! Show respect, because sometimes it's not about you, it's about the fans." But Taylor, who has seen his share of turbulent times in SLIPKNOT, admitted that band relationships can be tricky. He said, "We're just crazy people who can't get along sometimes… Now add fame and money and all that rock and roll craziness to it — we're lucky we don't eat each other in this industry!" KISS will be inducted into the Rock And Roll Hall Of Fame on April 10 at a ceremony in Brooklyn, New York, along with NIRVANA, Linda Ronstadt and others. Taylor and SLIPKNOT are currently recording their first studio album since 2008's "All Hope Is Gone". Click HERE to read original story.